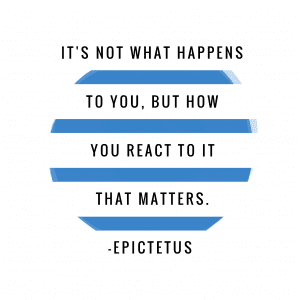 Epictetus was a first century Greek-speaking Stoic philosopher. No one wakes up one morning as president or as a bum living on the streets. Yes, many bad things happen that are beyond our control, but ultimately our successes and failures are directly related to how we react to these things.